Heavy-duty construction with stabilizing base and 4 rotating casters that’s easy to assemble. Features a powder-coated finish. 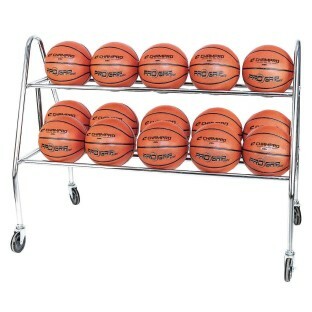 Holds 15 balls. Measures 47”L x 20”W x 25”H.